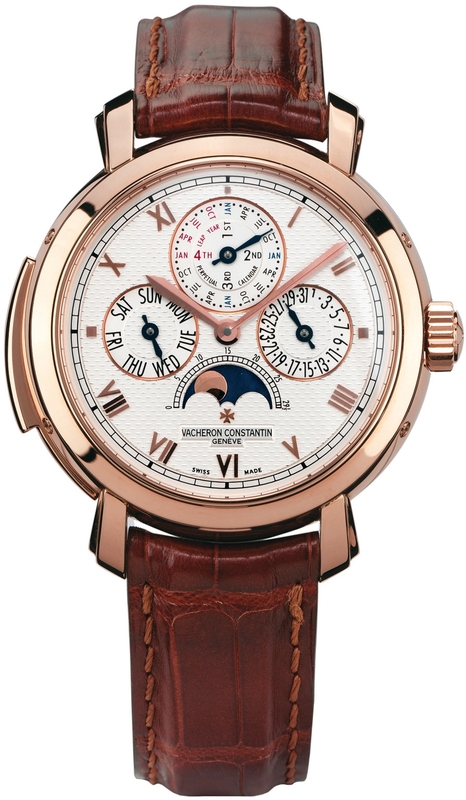 - Off White/Champagne Dial with applied rose gold toned Roman Numerals. - Complications: Perpetual Calendar displays, Day, Date, Month, Leap Year & Moonphases. - Repeating: Hour, Quater & Minutes. 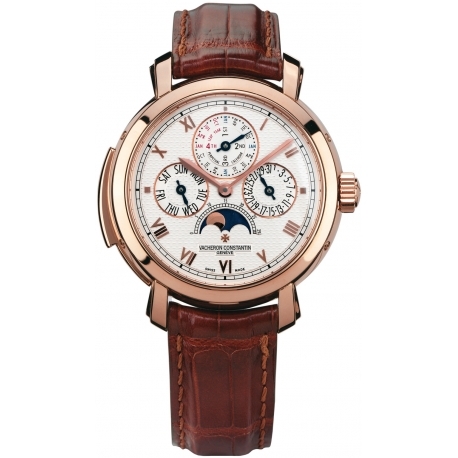 - Vacheron Constantin calibre 1755 qp, beats at 18,000 vph, contains 30 jewels & has an approximate Power Reserve of 34 hours.